Sylvie Beckman, no longer a dreamer, sat in front of the lighted mirror at her makeup table and examined her premature wrinkles. Her magnified eyes curiously returned her stare. She rubbed her eyelids with a cotton ball until they reddened, removing her eye shadow and mascara. The four walls surrounding her got tighter as she thought of the big house in Holland she had lived in growing up, until she was a teen. She remembered how her slight frame had stiffened as she stood in the middle of her bedroom, covering her ears from the air raid blasting through her shuttered window. All the Jews in the small village had been forced to spend a night at the schoolhouse. Outraged by such humiliation and inconvenience, she stuffed a quilted bed jacket, heavy stockings, and a cashmere hat into the soft leather satchel until it bulged. Numb with excitement, she didn’t dare leave any of her favorite things behind, in case the Germans confiscated their possessions while they were gone. With one more quick glance around her bedroom, she grabbed her rouge and her eyebrow pencil. Satisfied she had everything she couldnt possibly be without, she tugged at the zipper and headed for her bedroom door. Then, with her hand still on the doorknob, she had remembered the most important thing of all — her solid gold Star of David, which she had kept hidden. Someday this piece would go to her first child. Of course, before the child was born, she’d have to be rescued from her castle and swept away on the white horse by her hero, a man who would be absolutely perfect in every way . . . because once Sylvie had been a dreamer. Now, many years later, in America, she tried to retrace her steps, to understand why her reflection in the illuminated mirror had become so bitter. The air had been damp that night, an everlasting chill she could not shake, and she had frozen from that moment on and become someone else. Someone who denied any doom that such an excursion could bring upon them. After all, Mama had always promised the Rosenbergs would be safe because . . . because they were different. Sylvie had kept going back to what she had nervously packed into her satchel . . . how she wished she could bring along her bath salts and her best eau de cologne. But when she was told she wasn’t allowed to bring many of her things, it frightened her; she’d heard of riches-to-rags stories before. She had fought with her mother about her choices, and they played a nasty game of tug-of-war over her prettiest petticoat. Mama was right as usual. Because Papa was a prominent art dealer, and the Nazis adored art . . . well, all that scare was for nothing. They had returned home from the schoolhouse unharmed, and none of their things had been touched. Yet their home had lost its comfort; the halls where Father paced seemed longer and Sylvie could almost see Papa’s hair getting whiter by the day. He flicked more cigar ashes than ever before. She had always loved the smell of his cigar until then. Papa had moved much of his artwork during the invasion. She no longer heard him whistling or humming a tune when he came through the front door. Was he afraid, too? At first Sylvie ignored subtle changes around her on the streets, even though they lost more freedoms. It wasn’t until her own Dutch Theatre, de Hollandsche Schouwburg, where she once imagined herself on the big screen, was turned into a makeshift prison in the Jewish quarter by the Germans that she could no longer pretend. Suddenly the drone of airplanes was overhead and the distant squeal of sirens got too close for comfort. One day Sylvie found herself curled up into a tight ball, petrified that if the closet door opened, she would unravel like Oma’s cylinders of yarn, like Oma, herself, who had a nervenzusammenbruch (a nervous breakdown). On other days, it was the silence that was worse. She’d peek from behind the heavy curtain, looking at men who walked by in shiny helmets and hobnailed boots below her window. Such a hard sound as they passed, taking her bicycle away. She had always loved that bicycle with the pink basket up front. Many of the Jewish shops had been closed down and padlocked. Swastikas marked them in devil’s handwriting. Rabbis at the synagogues had to turn over lists of the Jews. Even the church bells no longer tolled. Sylvie wondered what had happened to her Jewish friends . . . Miriam, who lived on Warmoesstraat, and Anna, who lived on Rokensingel. Did they hear fists beating down their front doors in the middle of the night? Did the soldiers burst into their homes and separate them from their mothers and sisters and brothers? Why couldnt their fathers be art dealers, too? Didnt they have anything of value to trade for their lives? The poffertjes mother had prepared on the stovetop, as the spots of sunlight came through the curtains onto the kitchen table, soured in Sylvie’s stomach by noon with more of the horror stories that spread through the neighborhood. That winter had been unusually cold. The corners of Sylvie’s mouth caved at the sight of her favorite camels-hair overcoat with the black velvet trim. Such a fine fabric, ruined. She could still see the yellow Jewish star, like a badge of courage, sewn onto the front of her double-collar outerwear with the big ivory buttons; the word Jood, Dutch for Jewish, inscribed in black. How ugly the outerwear had suddenly become; its stitching looked painful, fresh as post-surgery. Maybe when the star hardened into a scab, she’d tear it off and watch the coat grow another arm like a starfish. The only reason the Rosenberg family survived was because of their connection with the Swiss consul, who owned Italian masterpieces Hitler wanted for his collection. But, little by little, Papa was forced into doing a few favors. Goering would walk into Papa’s gallery with a gun in his pocket and discreetly point to a Vermeer. “Ahh, this will be good for Hitler’s birthday; a Jan Steen for the wife; a Nicolaas Maes for a niece. 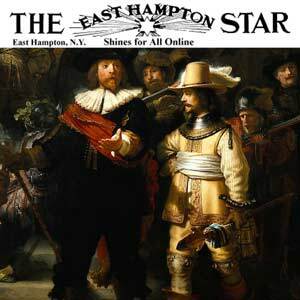 . . .” until the last trade — Rembrandt’s “Portrait of a Man” — in exchange for 25 visas to freedom. The useful Jews were transported to forced labor camps, and the others . . . babies and children, she dared not think about what happened to the others. Kathryn had told her in English studies once that Joanna heard from Margaret, who heard from someone else, that the Nazis made ovens for incinerating human corpses. Sylvie wondered why people had to make up such far-fetched stories. When she was a baby, Sylvie Rosenberg’s mother propped her up in a highchair and fed her with a silver spoon too big for her mouth. The nanny was the only one who managed to get pabulum down the child’s obstinate little throat, cooing at her with a breath that smelled like cooking vanilla. Sylvie’s older sister, Eleanor, couldn’t be bothered with her 41/2-year-old little sister and her rubber dolly seated around the small wooden table. Sylvie would wait for Eleanor to return from private school, imploring her to join the tea party she had painstakingly set up with miniature cups and saucers so delicately placed on doilies. William, always making boy noises and shooting pretend-guns, came soaring through the playroom as a fighter jet, arms extended, bringing down the entire tea party in a flash. He glided out of the playroom with his radar searching for a good landing spot, while Eleanor slipped out to the courtyard for her cello lesson. “Let’s have a sip, shall we?” the nanny said to the child who had developed hiccups from crying so hard. Sylvie had long abandoned her tea set by the age of 8, but never liked playing alone at home. She wanted to be just like everyone else, and skipped along the sidewalk that ran along the chain-link fence, thinking that very thing one day. Some of the unfamiliar children in the park spotted her, and waved her toward the entrance. The girl unlocked the latch, and let her in, and whispered something to someone else. The gate closed behind her. Suddenly, Sylvie felt different, like she didn’t belong there. Her smile shifted at the same time as the sky. Light raindrops ricocheted off her head and off her turned-in feet. The children were shouting and snickering as they chased Sylvie in circles. The big girl was the first to throw the mud, but the others soon followed. Then they caught her. Sylvie was forced to stand in the center of an ancient-looking letter. Whatever it meant, to her it stood for humiliation. As her fine shoes sank into the sludge, minutes seemed forever. She refused to make a spectacle, refused to make eye contact with the other children. So these are Christians, she thought. She thought about telling them that her family wasn’t a religious one, but that probably wouldnt change her from being a Jew. Sylvie recited the alphabet in her head backwards while the big girl taunted her, pulling the stick slowly down Sylvie’s spine, walking behind Sylvie, then in front of her. Sylvie thought of her science lesson in school, how the moon rotates around the earth. The giant girl stared at Sylvie’s necklace. “Looks like real gold to me, no?” Sylvie thought about the day her father taught her, in a soft voice, how to draw the hexagram by herself, two triangles laid over each other. Sylvie had learned now how to hate. Somehow, she’d turn things around, get even. She’d come up with her own strategy that would serve her for the rest of her life, so she’d never again have to stand on that horrific insignia. With her mud-streaked face and shoulders erect, Sylvie walked up to the captain of the bullies and smiled a potent smile that said she was different, all right –different because she was better, prettier, smarter, and more powerful, especially more powerful. She told the big bully all this without saying anything of the sort. She had to come up with a good plan.
. . . Sylvie was about to bury her muddy clothes in a pile of rags in the basement, promising herself she would never wear them again, but wouldn’t that be letting that horrible girl win? No, she’d let one of the servants wash and press everything. She’d wear those clothes again, and in front of that same bully. That ugly bully girl was poor, and not very smart. Sylvie had things she wanted. She could win her over, and the power that would come with it. . . . The two girls walked past the lamppost boxes filled with flowers and turned up the slate walkway through the perfectly pruned shrubbery. “A mansion?” The smaller of the two repeated the word. The skinny girl stretched her neck, looking to see where the woman had gone when she had disappeared past the foyer through the tall French doors that led to a world beyond imagination. Minutes later, the woman returned to the waiting area and said, “Miss Sylvie will see you now.” The two girls followed the woman down the long hall and ascended the central staircase on tiptoes, holding onto the banister. The stairwell was squared off as it went up to the third floor; it would have been so much more fun to slide down had it been spiral. As the girls stepped on each riser, they peered at the rooms below through the railings — the all-white porcelain kitchen with copper pots, the flowery powder room, the busy laundry area with orderly shelves stacked high with linens and folded towels. Sylvie opened her bedroom door and the brute went in first, walking in slow circles around the room, and glared at Sylvie, re-evaluating her. “I like to pour my own. To the top of the glass. Why do you ask? Are you thirsty?” Sylvie queried. Sylvie got busy, ignored the little one snooping around at her things, and showed the bully her doll collection and all her splendid games and toys. “Who?” Sylvie asked the little one, annoyed. “I told you. Shes out somewhere.” Sylvie continued rooting through her jewelry box until she found the glittery necklace she had been looking for, and then picked it up and dangled it in front of the bigger girls face. The contrast of the shiny necklace in front of the bullys face made her look even uglier. Sylvie pretended to beam as she offered to put it around the girl’s thick neck. “Good for you!” Sylvie barked. “When does she come home, your mother?” she asked Sylvie. “You ask a lot of questions, don’t you, Mousy Girl?” Sylvie said. “That’s not my name!” The small one protested. The heavy girl licked her lips as Sylvie left the room for a few minutes. Mousy Girl scooted off toward the west wing, but before the big girl headed for the east wing, Sylvie grabbed her plump arm and pulled her back into the room. Then she opened both her hands, which she had kept behind her back, and exposed the bags of candy. They could hear the teeny girl rummaging through a closet in one of the spare rooms. “Shhh. . . . ” Sylvie put her finger to her lips, and twisted the key in the lock. Tears formed in Sylvies eyes; she knew all along exactly where to find another whole bag of chocolate-covered jellies to stop the girl from her pathetic crying — in the second kitchen cabinet from the right. Her mother always made sure there was extra everything in whatever she desired . . . almost everything. But for what seemed like a very long time, Sylvie did nothing to help the girl in the closet, just as the girl did nothing to help Sylvie the day before at the park. That night, Sylvie lay awake in bed, again, this time thinking about all the silly games children play. The clock bonged at least 11 times as she waited for her mother to come home, to come into her room to tuck her in . . . she wondered where her mom was, this time. Call it the little book that could. 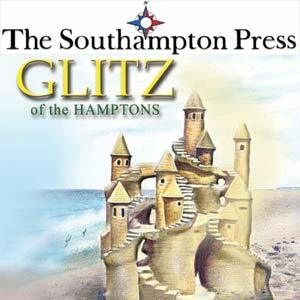 Chances are, if you’ve gone anywhere at all on the East End recently, you’ve seen author Janet Berg’s new book, Glitz of the Hamptons. From bookstores to bagel shops, the little book is prominently displayed in a big way, and readers across the board have been singing its praises. Perhaps one reason for the tome’s popularity is its heartfelt message, portrayed with aching honesty as an elderly character proceeds on an emotional journey throughout the Hamptons – searching for home. Included in the book are renderings of Hamptons landmarks. Berg’s own “journey” toward writing her book began when she and her husband owned a family music business, Record Stop, on Main Street in Westhampton Beach. Although the shop is now located in Lake Ronkonkoma, the memories of Westhampton Beach remained vivid. As she wrote her book, Berg felt compelled to illustrate “magic” of the Hamptons through the eyes of someone special, a character who was sensitive to the area’s natural beauty. Of the books main character, Berg said, “I always think of my grandfather, the little Italian shoemaker – not much unlike Gepetto. A humble, hardworking man who stood proudly behind his handmade counter, mending people’s soles. The main character in my book is aging and lost, to show the younger generation compassion and respect for the elderly. Berg, who currently lives in East Moriches, is pursuing an MFA in Writing at Stony Brook University at Southampton. She has worked for over 10 years as a substitute teacher with elementary schoolchildren, and has recently completed a children’s chapter book and an adult novel. Her life has been colored by her love of literature. “As a child, I was most touched by two books, Old Yeller and The Diary of Anne Frank — they were my introduction into writing. Berg’s book is a tale for adults, one they can share with children, as a means of imbuing respect for the elderly.